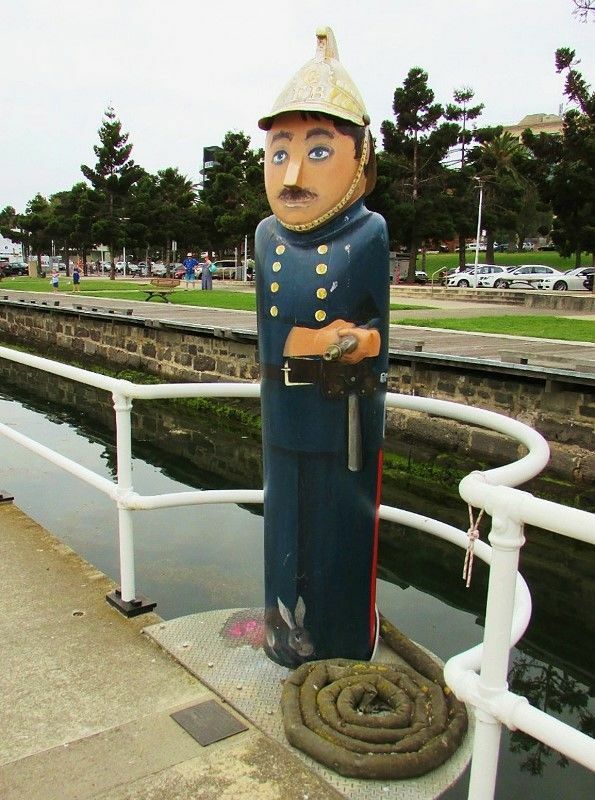 A monument commemorates Gary "Dutchy" Vredeveldt & his crew mates from Geelong West Volunteer Firefighters who lost their lives while protecting Linton from a bushfire in 1998. On 2 December 1998, a bushfire burned through private land and state forest near the township of Linton, Victoria. Fire fighters from Department of Natural Resources and Country Fire Authority (CFA) were deployed to fight the fire. At approximately 20:45 hrs, two CFA tankers and their crews were trapped and engulfed in fire following an unexpected wind change. The crew of one of those trucks, five men from Geelong, all volunteers from the Geelong West Brigade were killed. The coronial inquest examining the fire and the deaths was one of the longest-running inquests in the history of the state. This inquest led to changes in safety operating procedures in the CFA.